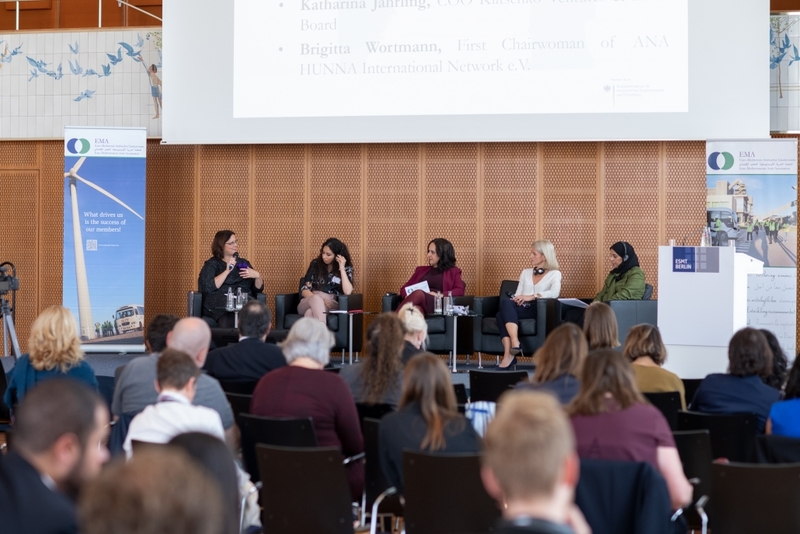 Brigitta Wortmann, 1st Chairwoman of ANA HUNNA International Network, presented the network at the 4th German-Arab Women’s Forum of the Euro-Mediterranean-Arab Association (EMA). 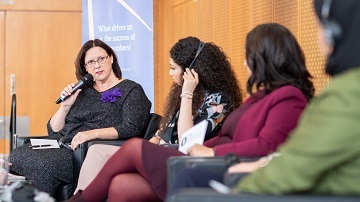 Berlin, September 2018 – At the 4th German-Arab Women’s Forum of the Euro-Mediterranean-Arab Association (EMA), Brigitta Wortmann, 1st Chairwoman of ANA HUNNA International Network, presented this new network. The overall theme of the Forum was the promotion of the economic and social participation of women in the Arab region. The role of lifelong learning in an environment which is transforming by Digitization, globalization or migration is a essential to be future-proof. In the panel discussion Brigitta Wortmann explained the role ANA HUNNA International Network can play as a platform bringing together organization and people in the Middle East, North Africa and Europe to share knowledge and tools and to join forces to even better advocate for the inclusion of women.